Lauer’s Supermarket and Bakery forms a central part of Maryland’s Riviera Beach and Pasadena landscapes. The company has for about 38 years offered the best quality services and products. It is committed and dedicated to offering outstanding customer service. 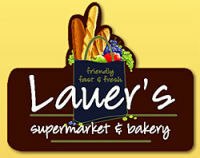 Lauer’s Supermarket and Bakery was founded in 1974 and since them it has been of great importance to Pasadena community. The first store was opened on Mountain Road by Edward and Helen Lauer. In 1982, the second store was opened in Riviera Beach. In an effort to increase the range of services offered to the increasing customer base, a larger store was established on Boulevard in 1988 to replace the original Mountain Road location. Lauer’s mission revolves around service. The company is known for its signature baked food items, homemade salads, as well as exemplary customer service. The company has also shown immense commitment to the community that it serves, particularly the youth. The company also supports neighboring schools via an advertising program that it launched. Additionally, it usually sponsors scouting functions, sports programs, concert series and church dinners held in the community. The loyalty of its frequent shoppers is rewarded by donations of dollars to be used in promoting local education. Lauer’s Supermarket & Bakery has full-line grocers, a luscious bakery, delectable deli, convenient to stop and a friendly café.